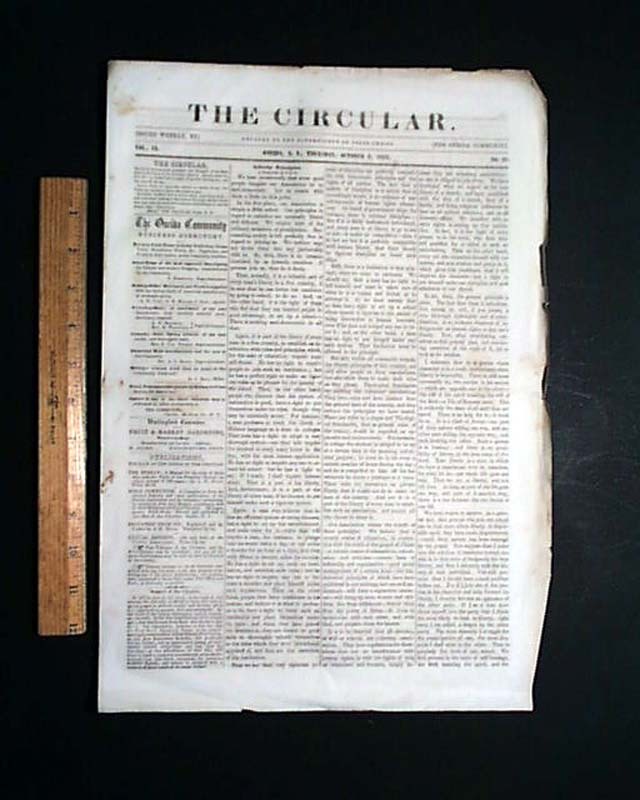 THE CIRCULAR, Oneida, New York, Oct. 8, 1857 This is an uncommon periodical published by the Oneida Community, a Utopian commune founded by John Humphrey Noyes in 1848 in Oneida. 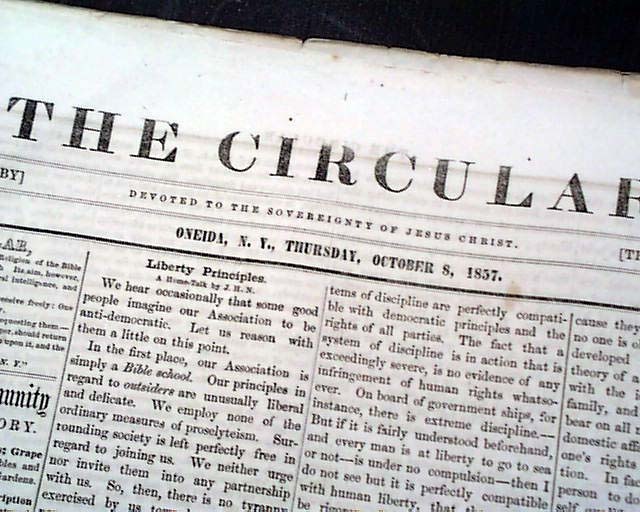 The community believed that Jesus Christ had already returned in the year 70, making it possible for them to bring about Christ's millennial kingdom themselves, and be free of sin and perfect in this world, not just heaven. 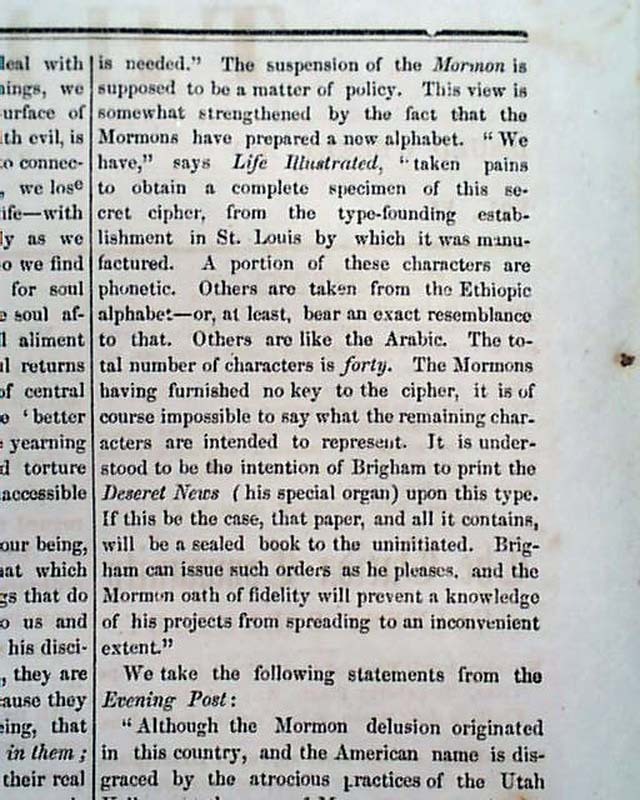 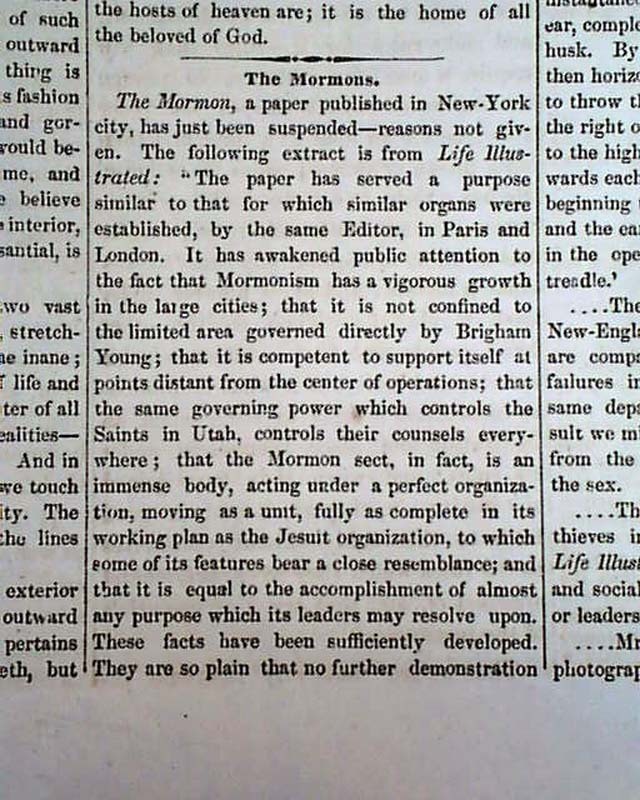 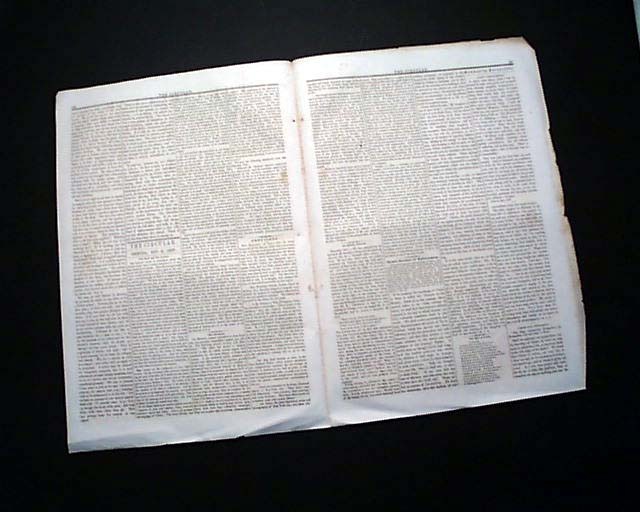 Page 2 has close to three-quarters of a column taken up with: "The Mormons" which begins by stating that their newspaper "The Mormon" published in New York has ceased publication, and noting: "...It has awakened public attention to the fact that Mormonism has a vigorous growth in the large cities; that it is not confined to he limited area governed directly by Brigham Young..." with more (see). 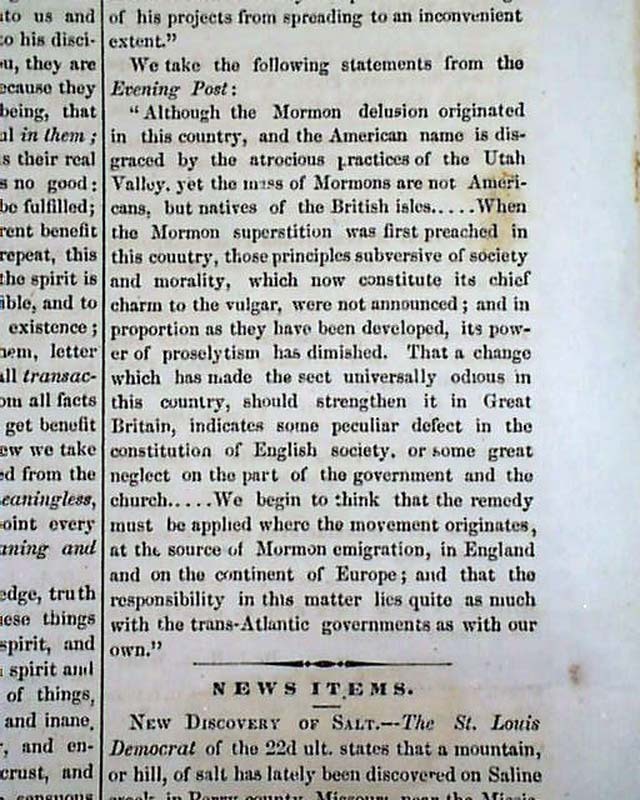 The article also includes a report that: "...Although the Mormon delusion originated in this country, and the American name is disgraced by the atrocious practices of the Utah Valley, yet the mass of Mormons are not Americans but natives of the British isles...When the Mormon superstition was first preached..." and more (see).